Stations 1, 6, 9, 18, 19, 26 and 27 responded to a single car MVC with MCI on I-95 at the 58 mile marker northbound, just before the Mount Carmel Road overpass, on Friday afternoon 31-July at 1850. Several callers reported an overturned van with multiple ejections. Truck 111 arrived four minutes later and found a minivan..... Click here for more information. Station 1 was dispatched to a reported woods fire in the 4000 block of Sniders Hwy, at 0604 Friday morning 31-July. A man driving on Sniders Hwy reported seeing smoke and flames well off the road in the woods. Engine 1 arrived and could also see a large fire in the woods about ¼ mile off the highway. Click here for more information. 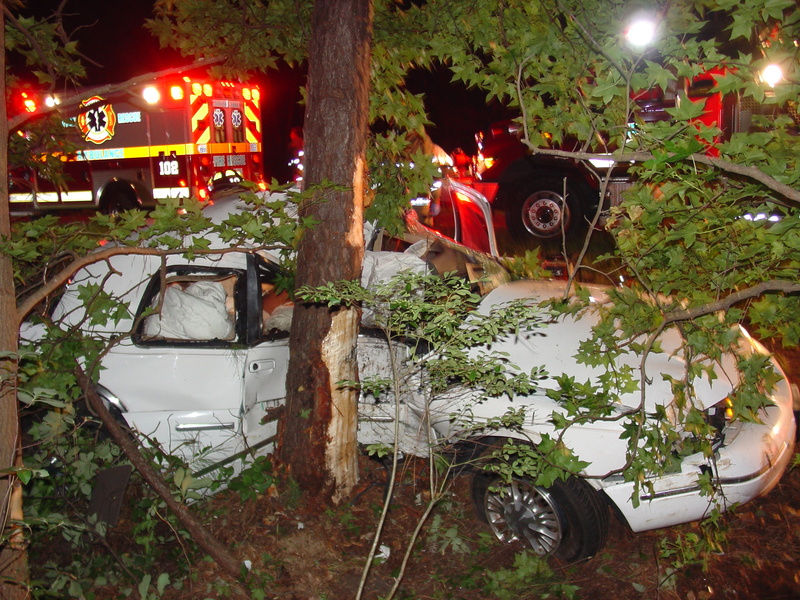 Stations 1 and 9 responded to a fatal, single car MVC in the 13000 block of Cottageville Highway (US Hwy. 17-A) east of Sullivan’s Landing Road at 5:32 PM. The eastbound Lincoln left the roadway on the west bound side of the road, striking a roadway embankment at Wild Turkey Lane, then hitting the ditch embankment and several trees. The car flipped over at least twice coming to rest on its roof in the west bound lane of Cottageville Highway. Click here for more information. Stations 1, 2, 5, 6, 11, 17, 19, 26, and 27 responded to a three alarm fire at 1497 Industrial Road, New York Wire Facility at 0331, Tuesday 28-July. On arrival, Engine 19 reported heavy smoke visible from the rear of the 350,000 square foot industrial complex. Engine 19 took a position at the rear of the building laying a 5 inch supply line. Ladder 19 also set up in the rear of the facility. Click here for more information. Stations 9, 11 and 19 responded to a single vehicle MVC in the 24000 block of Augusta Hwy., Sunday morning 26-July at 0621. 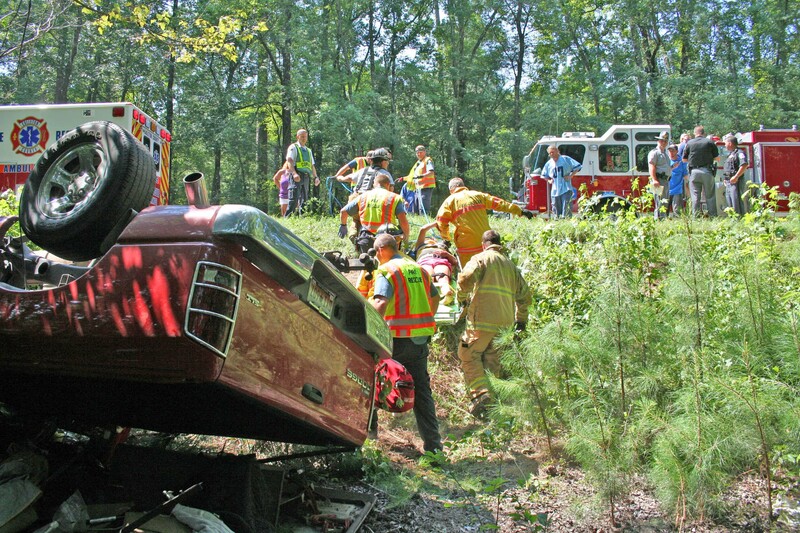 Firefighters arrived to find an over-turned pickup truck off the roadway west of Meeting House Road. Two men were injured in the crash, one suffered suspected severe head injuries. The other man was ambulatory at the scene. Click here for more information. The Training Division conducted two public CPR Classes this week. The first was held Saturday morning 25-July at Station # 19 for the Walterboro Civil Air Patrol Unit. Twelve cadets and adult leaders participated in the six hour class conducted by Battalion Chief Brent Dalton and Lt. Joseph Campbell. Click here for more information. Firefighter/EMT Bryan Eadon was recently the topic of an article written in The Eagle Record, the local newspaper in Saint George. Click here to read the article. Stations 19 and 27 responded to a 77 year old man who suffered a medical emergency and then severe trauma injuries after he became unconscious and fell at 0921 on 23-July. Medic 27’s crews found the man unconscious with a severe head injury inside his residence on Brownlehe Street . They called for assistance, bringing Medic 19 and several officers. Click here for more information. Stations 6 and 19 responded to a hazardous materials incident on Ashepoo Drive at Ace Basin Parkway at 0846 on Wednesday, July 22. Engine 6 and Medic 6 arrived five minutes later to find an unknown drum covered in black plastic on the side of Ashepoo Drive. The area was immediately isolated and an entry team was sent in to attempt to identify and confine the product. Portable air monitors were used but could not identify the product. Click here for more information. 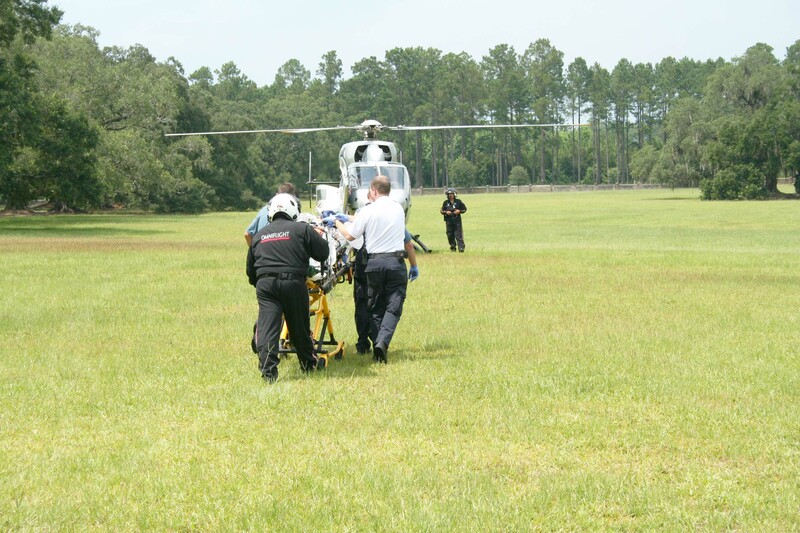 Colleton County Fire-Rescue assisted Dorchester County emergency service organizations in the search for a 21 year old female who fell from an inflated raft and is now assumed drown. 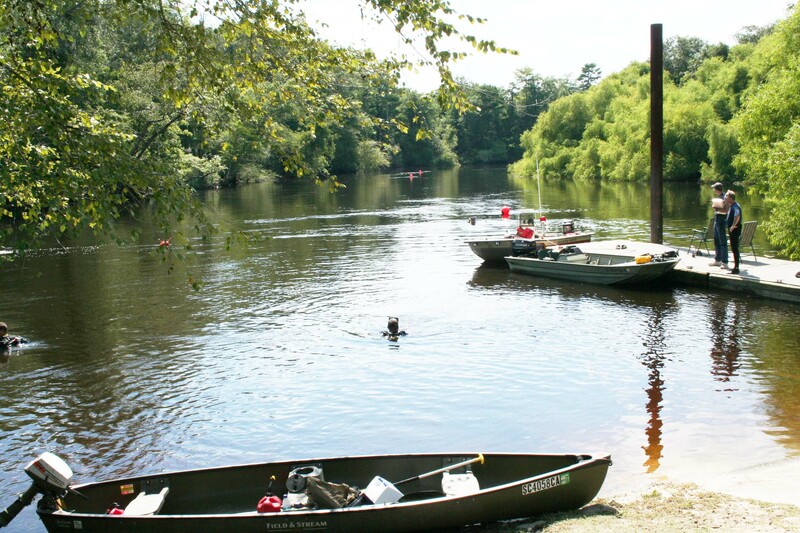 The first report of the accident came in around 1800 Saturday 18-July, reporting the missing woman near the Meservey or Givhans Boat Landing in the Givhans Area of Dorchester County. Click here for more information. 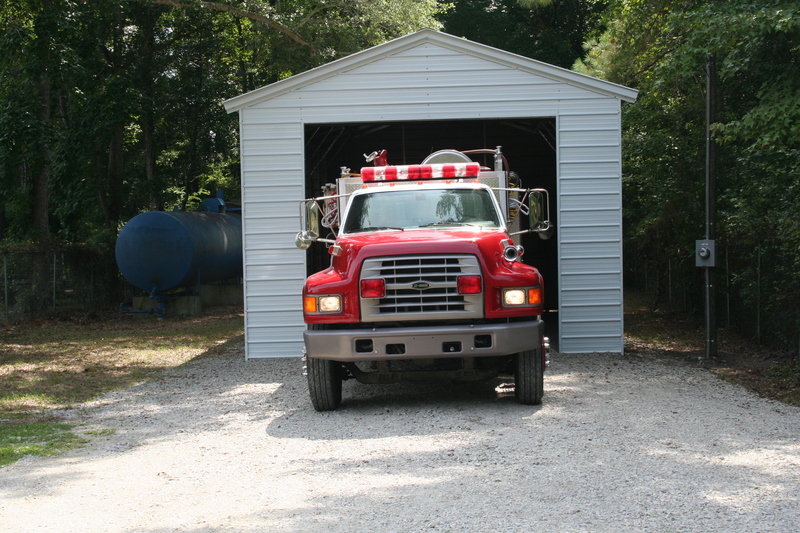 Station 11 has been relocated to a temporary building at 8138 Rehoboth Road in the Creeltown Community. The site is on Rehoboth Road about ½ block south of Augusta Hwy. After several years of unsuccessfully attempting to work out a lease for the previous building, County Council directed the Administrator to move out of the building. Click here for more information. 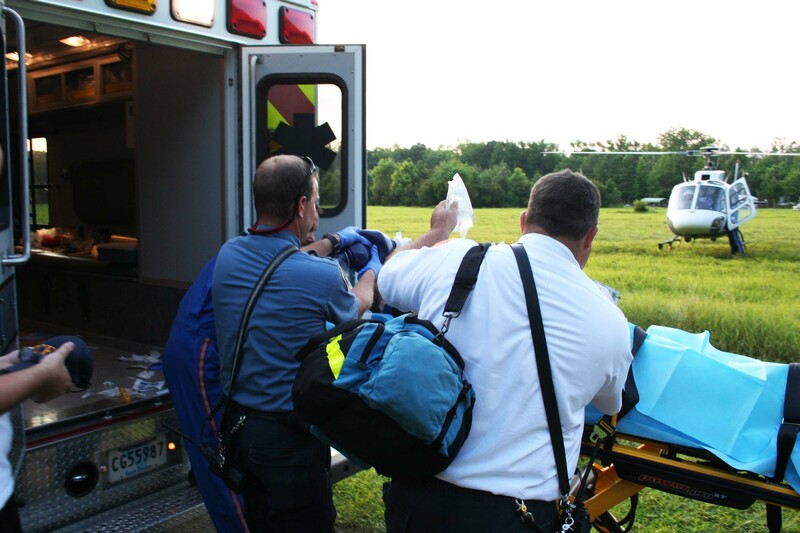 7/17/2009- Motor Vehicle Collision with Entrapment & Air Evac. Stations 1, 9, 11 and 19 responded to a high speed MVC in front of 5253 Red Oak Road Friday evening 17-July at 1917. 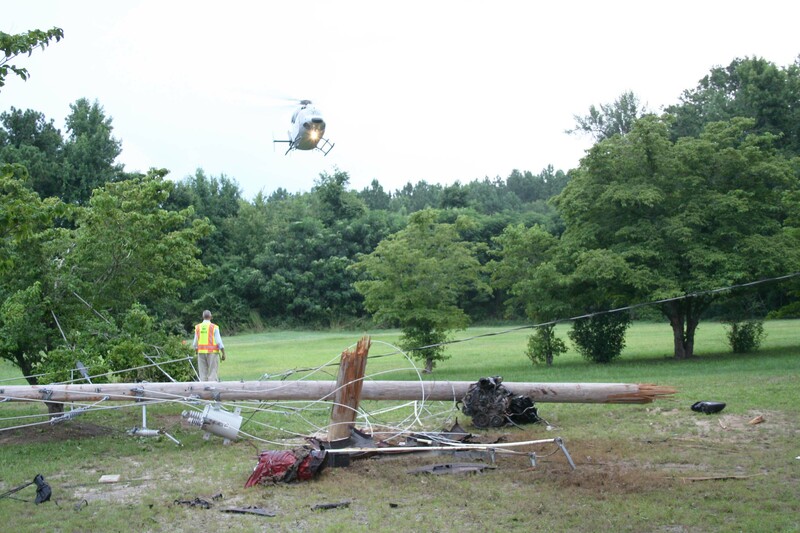 Engine 11 arrived to report a minivan had struck a power pole and overturned several times. Power lines were down in the roadway, blocking Red Oak Road. The female driver was trapped in the wreckage, which tore the front of the minivan off of the vehicle. Click here for more information. Stations 1, 26 and 27 responded to a fatal high speed MVC on I-95 at the 62 mile marker northbound at 0515 on Thursday morning 16-July. The single car appears to have dropped off of the left shoulder, came back on the pavement and then left the roadway again, before striking several trees in the median. The passenger side door took the brunt of the impact causing massive damage to the 1997 Mercury Cougar XR7 which had approximately three feet of intrusion into the passenger compartment. Click here for more information. 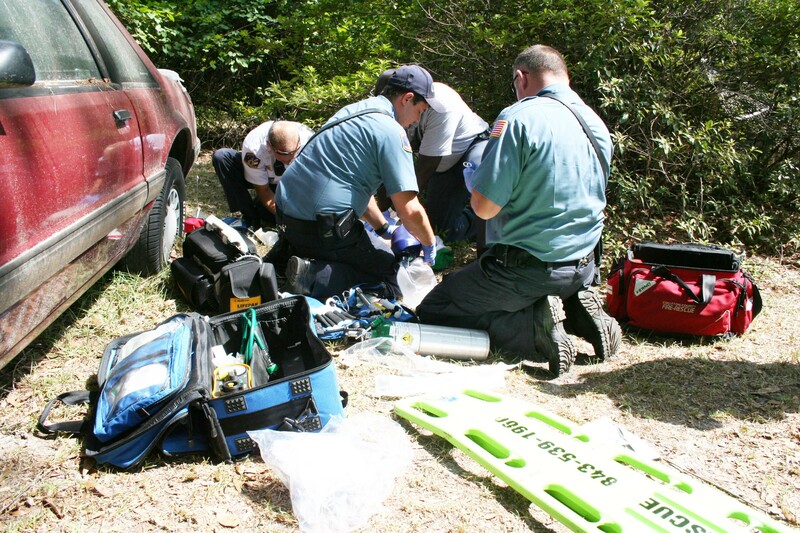 Stations 6, 8 and 13 responded to a fall with injuries at Bluff Plantation on Combahee Road on Monday afternoon 13-July at 1400. Fellow construction workers found the 26 year old man lying face down on the concrete driveway. He had been working on the roof of the residence when he was last seen and apparently fell approximately 25 feet. The man was unconscious and suffered an obvious head injury. Click here for more information. Stations 1, 19, 26 and 27 responded to a well involved house fire at 1822 Wichman Street Monday morning at 0219, 13-July. 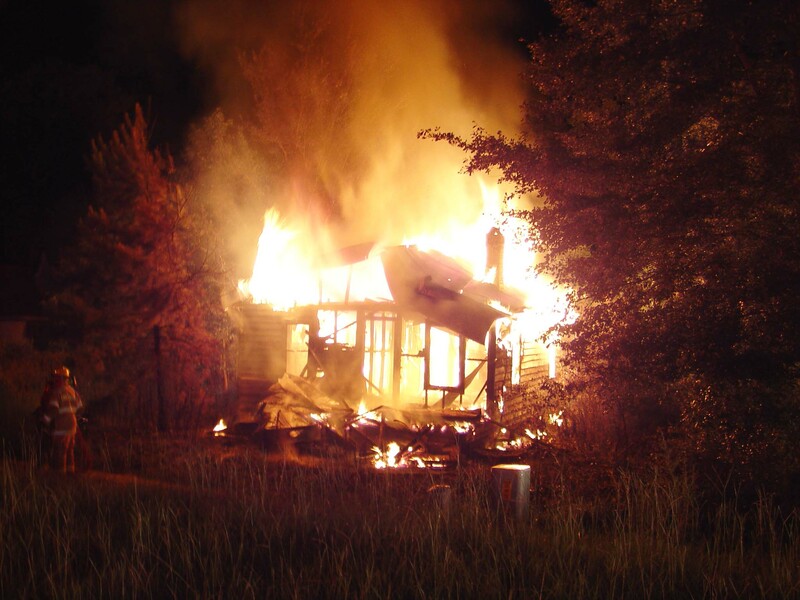 The house was fully involved when a person walking at that early morning hour saw the flames. The home appeared to be vacant, but there was evidence of someone had been living in the front room where the fire originated. Power was connected to the building and was arcing when Engine 19 arrived. Click here for more information. Stations 5, 11, 17 and 19 responded to a house fire on Lindsey Road near the intersection of Round O Road at 1827, Saturday 11-July. The structure was located near the end of the rural dirt road. It was almost completely destroyed when firefighters arrived, with all four walls and the roof already collapsed. Engine 5 deployed to 1-3/4 handlines. 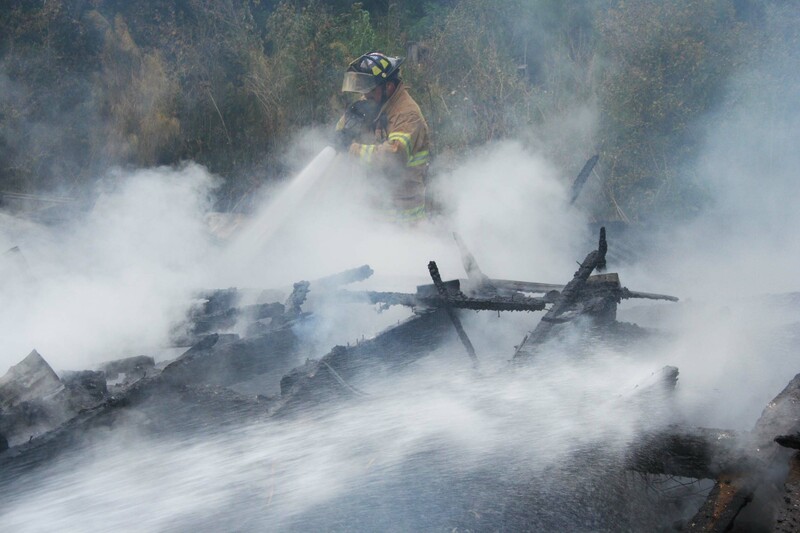 Firefighters controlled a small grass fire that extended from the structure. Click here for more info. Firefighters Will and Christina Sanford are conducting a fund raiser / Raffle to benefit Edisto Beach Firefighter Bonnie Gorman who has been diagnosed with 3 brain aneurysms. Her family is experiencing several problems not to mention the medical bills. Click here for more information. 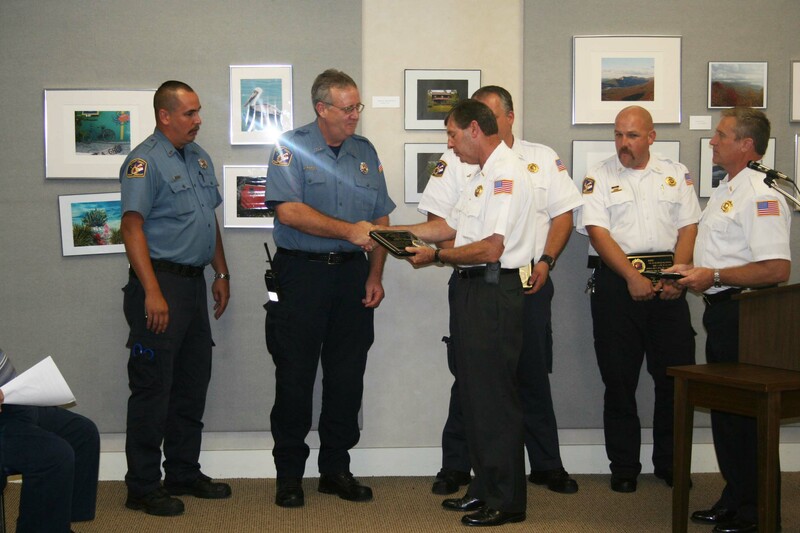 The Fire-Rescue Commission presented Valor Awards to six Firefighters at the County Council Meeting Tuesday 7-July. Chairman LaVern Polk and Commissioner Doug Mixson made the presentations during the meeting. The Valor Award is one of the highest honors that can be bestowed on a firefighter. It is usually awarded to personnel who perform a heroic act, such as placing their life at risk to save another. Click here for more information. State Law Enforcement Officers have charged 19 year old Steven Jeffery Davidson of Smoaks, with two counts of second degree arson and one count of burglary in connection with a string of arson fires in the Smoaks Community. SLED agents have been working in conjunction with Fire-Rescue and Sheriff’s Office investigators regarding the arson fires. Davidson was charged this week. Click here for more information. The annual summer camp for pediatric burn patients, Camp ‘Can’ Do, was held on Seabrook Island June 27 through July 2. 41 kids attended camp this year from all over the state and 2 from Florida attended who were patients that were treated in Colleton County and flown to MUSC’s Pediatric Burn Center . Your generous donations and can recycling makes camp possible. Click here for additional information. Congratulations to Firefighter/EMT Chris Elrod and his wife Amy on the birth of their daughter, Addilyn Grace who was born on 2-July at 0309. Addilyn weighs 9 pounds and 12 ounces and is 22" long. Both mother and daughter are doing great. 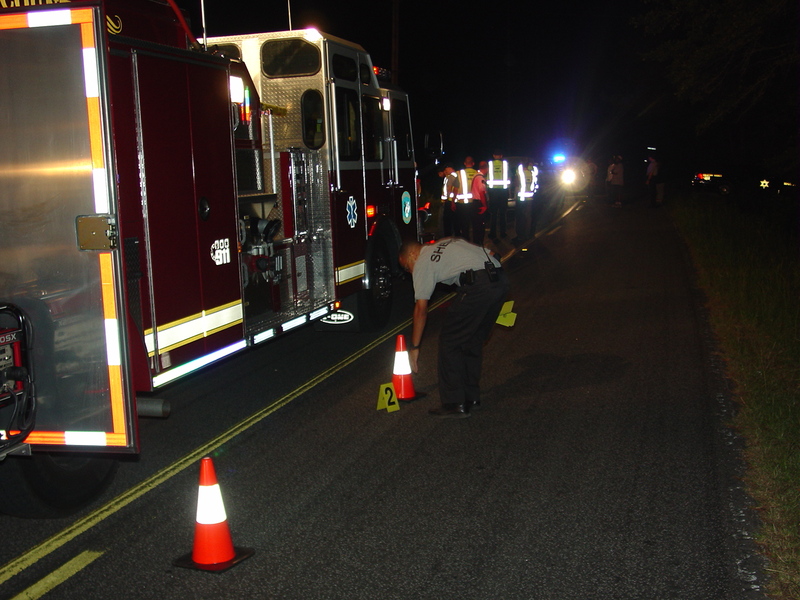 Station 19 responded to a fatal auto/pedestrian MVC in the 1300 block of Barracada Road just west of the intersection of Double Bogey Lane, Saturday morning 4-July at 0201. Units arrived to find a middle aged woman lying in the ditch on the north side of the road. It appeared she was thrown approximately 35 to 40 feet from the where she was hit. The victim suffered multiple traumatic injuries and had no signs of life. She was pronounced deceased at the scene. Click here for more information. Station 27 and Walterboro Public Safety responded to a shooting incident at 303 Verdier Street in the City of Walterboro, Friday afternoon at 1534. The incident occurred in the back yard of this residence, which backs up to the Lincoln Apartments complex. The 24 year old male received what appeared to be a GSW to the head. Witnesses debated about who shot the man or that his injury was self inflicted. Click here for more information. Stations 1, 9 and 19 responded to an overturned vehicle with entrapment on Cottageville Highway east of Merrick Road Friday morning 3-July at 1038. A full sized Dodge pickup truck left the roadway, went down an embankment before overturning and striking a tree. One patient was trapped in the wreckage, but was quickly extricated by Firefighters. Click here for more information. Ms. Mattie Craven conducted a dedication at Station # 17 in Springtown, Friday morning 3-July at 0900. 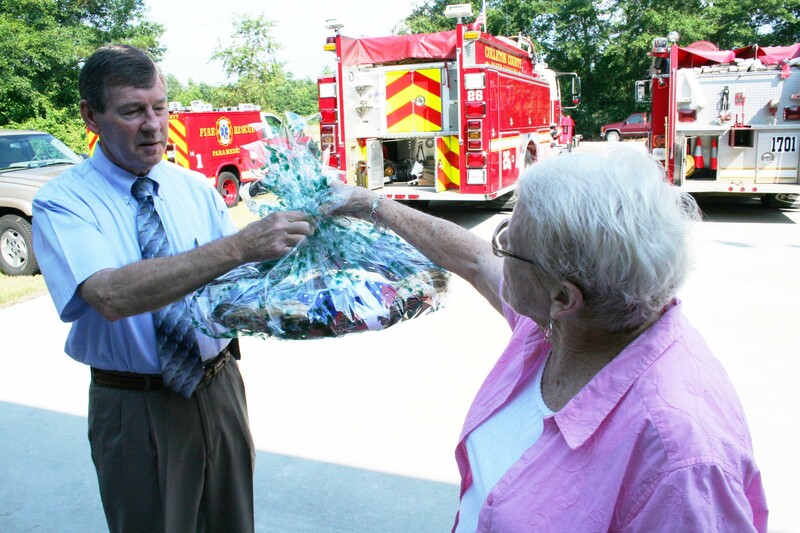 Ms. Craven and her husband, the late County Councilman LD Craven, participated with many other community residents 20 years ago to bring fire protection to the Springtown Community. Like so many other areas of the county, no fire department served Springtown back then. Click here for more information. Stations 7 and 18 responded to an ATV (Gator like vehicle) accident in the 900 block of Clatty Farm Road Wednesday 1-July at 1858. Witness accounts are sketchy, but apparently the ATV, which was being operated by two children, made contact with a southbound vehicle on Clatty Farm Road. Following the collision, the ATV overturned ejecting the two boys and apparently rolled over on a 13 year old.... click here for more information. Stations 3, 7, 18 and 23 responded to a structure fire at 28198 Lowcountry Hwy in the Town of Smoaks at 1316, Wednesday 1-July. Engine 7 reported heavy smoke conditions on arrival with fire visible between the mobile home and an addition on the rear of the building. 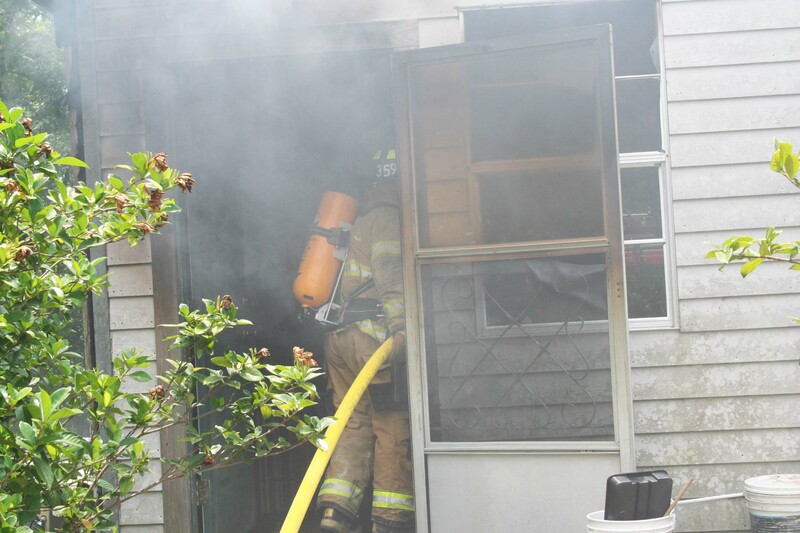 Firefighters deployed two 1-3/4 handlines and attempted entry through the front door, but were blocked by piled debris. Click here for more information.